Jeffrey teaches that the inversion is playing the notes of a chord in a different order with all of the notes staying the same. He provides various examples. Playing the notes of a chord in a different order, all of the notes stay the same. 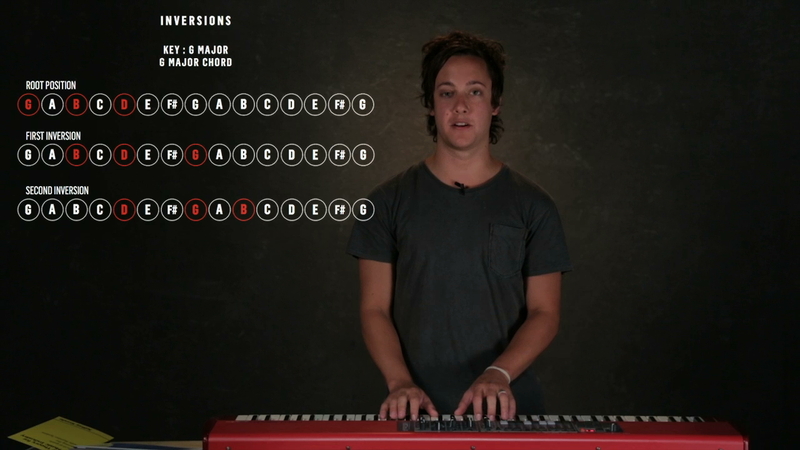 Inversion: Playing the notes of a chord in a different order, all of the notes stay the same.